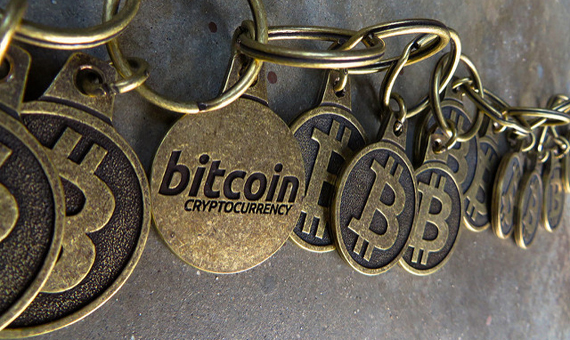 Blockchain appeared between 2008 and 2009 as a hardware-software infrastructure for a decentralized, scalable, fast and secure support of the Bitcoin cryptocurrency, which implements what amounts to a public accounting “ledger” that contains the creation, assignment of ownership and subsequent transmissions of each bitcoin or bitcoin fraction. The proper operation of transactions and secure assignment of property of the cryptocurrency is not guaranteed by a supervisory body, but distributed over a large peer-to-peer network (a network of computers or nodes with equal functions and none of which have any special, overriding functions). A blockchain is a database consisting of sequences of digital signatures. Each participant has a pair of asymmetrically encrypted private-public keys, where the public key is the reference to the owner of the asset receiving blockchain support, while the private key, known only by the owner, is used to mobilize the asset; i.e. to transfer its property, whether in part or completely. Very broadly outlined: if an owner transfers an asset to another person, what the blockchain infrastructure does is translate the previous transaction, which certifies the ownership of the transferring party, into bits (the result, in turn, of a previous digital signature), combine it with the representation in bits of the public key of the beneficiary of the transfer, while the transferring party signs the result digitally with its private key, thereby validating the transaction and new ownership. This signature completes the extent of the previous signatures and leaves a record of all the transactions performed during the asset’s existence. From that point on, the new owner will be able to demonstrate its ownership publicly, since the transaction now includes its public key. The only way to mobilize the asset again is by using the private key paired with this public key. Anyone can contrast the transaction with the public key of the transferring party. The name blockchain does not refer to the fact that the asset transfers are chained together, but because at regular intervals all recent transactions are wrapped in a block, which is linked to the last block in the chain, thereby constituting a blockchain. There are many more security and operation details and an introduction on how it works can be found in the following article: Technological keys to understanding Bitcoin. 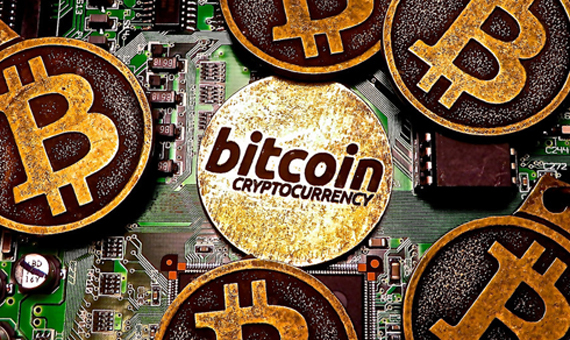 For reasons having to do with the relative confidence in Bitcoin, as well as its possible opaque nature, the operators in highly regulated financial markets agree in their majority that the real value of the Bitcoin system is not found in the virtual coin, but in the blockchain that supports it. It is also understood that applications with added value can be expected in those markets or in any market that requires a transfer log and clear assignment of ownership so it cannot be disputed. There appears to be no impediment for replacing a cryptocurrency supported by blockchain with a traditional currency, a bond or stock, or even physical assets such as real estate or duly identified diamonds. Thus, it is odd not to see any references in popular technological publications as to the interest of long-standing financial operators in the possible applications of this technology, which begs the question: why? We will begin by assuming that the interest in blockchain is symmetrical to the interest in its functionalities. These functions, although useful and interesting in themselves, are not sufficient to attract the attention of the financial markets. We will have to wait to review the structural characteristics of the blockchain to discover its most important and interesting features. The complete record, public and decentralized, of all the transactions performed, not subject to control by any recognized authority, whether public or private. The security, integrity and coherence of the data stored, based on mechanisms that rely on cryptography and computation, distributed worldwide. These features make it practically impossible for the system to be intervened by third parties. The anonymity, since ownership is certified by the knowledge or possession of the pair of encrypted public-private keys that are the foundation of the entire mechanism; keys that may not have (and normally do not have) any public, formal association with the identity of the final owner. The simplicity and global nature of the transactions, their immediate confirmation (a matter of minutes), similar to so-called frictionless transactions and whose most important aspect for the blockchain is the absence of intermediaries (which do take part in bank transfers). The profit obtained by certain nodes (known as miners), received in the form of newly created bitcoins, in exchange for the operational support functions of the blockchain, especially as regards security aspects, in addition to certain fees (marginal) per transaction. Certain matters that would affect any financial operator have to be highlighted with regard to these characteristics. Some of these have to do with the overregulated reality that these operators have to live in, which would require changing or expanding the original implementation of the blockchain to meet regulatory needs. Specifically, this refers to the anonymous nature of the transactions (as well as their privacy, which is not the same thing) and how to justify ownership or submission to the corresponding authorities. Other matters to consider involve the operational features of the solution. The advantage of keeping a single public and accurate “ledger” instead of each participant managing and balancing its own ledger is evident; however, there are scalability limits in the event of very large accumulations of transactions, combined with the complexity of reversing the transactions if necessary, as a sample of considerations that must be dealt with appropriately. The third and maybe most important aspect to consider is the outcome of exploiting this technology. To what extent are frictionless transactions convenient for operators (normally intermediaries), since it is precisely the intermediaries who disappear in these cases? It is evident that the less friction, the lower the cost. However, it is legitimate to suppose that if operators develop their front structure in the direction of the blockchain, this will also result in lower margins for intermediaries in transactions. Therefore, should this open the option for customers to interact and operate directly without intermediaries using a public blockchain? As regards other considerations, how do we approach operational costs intended to pay the miner nodes? Will we find the answers to these questions in private blockchains (permissioned blockchains) that operate only within the environment of one institution or a syndicate of institutions? This could make payment to miners relative, since their function could disappear completely, or affect the margin of expenses to be paid by customers (who could no longer make claims on the economic advantages of accessing the blockchain). Will the blockchains to be implemented, at least in the first stage, be mere back office tools to interconnect operators, without public access? Finally, and supposing that the solution to the problems discussed in the points above is definitely a private blockchain, is this solution necessary? Taking this point a bit further, aren’t there simpler solutions available to obtain the blockchain functionalities discussed above? The immediate answer to the last question is yes, if we consider all the functionalities mentioned as a group. Therefore, if we know that this technology has to be modified to adapt to regulatory demands, if we have to consider its immediate contribution to operator results a priori and if we accept that the first commercial implementation of a blockchain will be for operation in the private sphere, whereby it loses the expectations generated by its original design, do we really need an infrastructure like the one designed for blockchain? Distributed computing: this uses a global peer-to-peer network distributed over the Internet for redundant and consensual maintenance of the entire blockchain, allowing the nodes to participate in the random solution of the cryptographic problem (work test) that adds a new block to the chain, with the most recent transactions. The solution for each block comes from one of the hundreds of thousands of miner nodes, in approximately ten minutes, as per the current definition of the problem. Intensive encryption use: the encryption of the public key is essential to the assignment of ownership of the asset it supports. Another important role is played by the encrypted hash functions that are used in the transaction summaries signed digitally, as well as in the solution to the cryptographic problem of adding the most recent block. 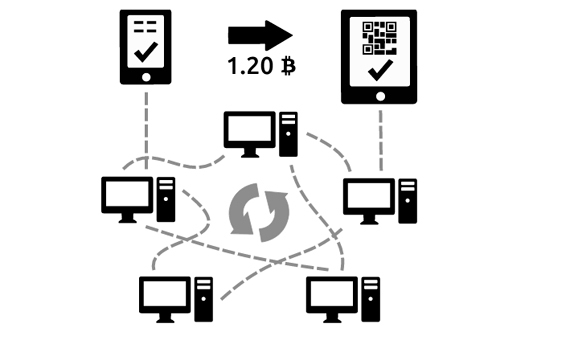 Payment for collaborating in network support and security: the miner nodes, which participate in searching for a solution to the work test and bear the highest expenses of the structure (electricity and equipment amortization), receive incentives that in the original design of blockchain implemented for Bitcoin, come from the creation of new bitcoins and certain fees charged per transaction (transaction fees), although these are marginal when considered individually. Statistical competition between miners: the design of the security systems in the blockchain makes it difficult to forge the blockchain tract. If a dishonest node wanted to forge a transaction in its favor, it would have to use an amount of computing power similar to that of the rest of the network and, even then, there would be no guarantee of success. In statistical terms, a node has a greater probability of making honest profits by collaborating as a miner than by dishonest practices. Absence of a central authority: there are no bodies that force the participants to comply with any requirements and respond for correct system operation and conditions. However, there is one characteristic resulting from this absence of a central authority: the presence, to the contrary and at least as a concept, of a distributed authority, which although passive versus the system, once in operation, is self-regulated and does not intervene, given the features and technological design discussed above. Here lies the most important characteristic of this technology: the designers of the blockchain have used relatively simple parts to create an autonomous, complex, fast, secure, original and disruptive piece of clockwork that does not need supervision to manage and enter millions of transactions, record them and administer their ownership with ease; all of which is done in a distributed environment repeated continuously with maximum security and includes the possibility of voluntary or involuntary disconnection of a certain number of network nodes that does not impede normal operation of the system. What does self-regulation mean in this context? In the end, this indicates that the presence of managers, intermediaries and system operators is unnecessary, which implies practically zero maintenance expenses (limited to energy costs and amortization of hardware infrastructure) and mostly marginal operating costs. However, it also implies a new paradigm in the administration of transactional information and even contract information or file management. The consequences of this for work organizations and structures, relations between operators and customers (as well as relations between customers), good commercial practices and public records or how all of the above affects employment, must be analyzed in the future. In sum, the blockchain appears to have inaugurated automation in the administration of financial transactions and several other markets; automation that is more virtual than physical and therefore economically more efficient. So now we can return to the question posed by this article and reword it as: Why would traditional financial operators be interested in a safe, fast and efficient system that could withstand a nearly unlimited number of transactions and property records, has already demonstrated its viability for the Bitcoin and has a minimal cost due to its self-regulation? The immediate response would surely be: for all those reasons. The future will reveal how to best apply the system and the changes or additions this would require.